Fees associated with filing the patent applications in Yemen, as well as other patent fees, are available in the fee calculator. The term for filing patent applications in Yemen claiming priority is 12 months from the date of priority. The restoration of a priority right in Yemen is not possible. - copy of extract of the commercial record, if the applicant is a legal person and/or identification documents for natural person (legalisation is not required). The official language of the Yemeni patent application is Arabic. The English translation of the application should be submitted as well. The Certified copy of the priority document and its Arabic translation must be submitted at the time of filing or within 90 days from the date of filing the application in Yemen. 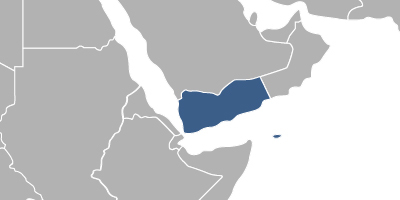 The Power of Attorney duly legalised by a Yemeni Consulate must be submitted at the time of filing or within two months from the date of filing the application in Yemen. If the applicant is not the inventor, the duly authenticated and legalised assignment deed must be submitted to the Yemeni Patent Office simultaneously with filing or within two months from the date of filing the application in Yemen. Substantive examination is not available in Yemen. Patents in Yemen are valid for twenty years from the filing date. To perform the patent prosecution in Yemen, foreigners must appoint a local agent, a Yemeni patent attorney. 1. Online Search Database for Yemeni Patents. 2. Yemen is not a member of the Patent Cooperation Treaty. Thus, entering the Yemeni national phase of a PCT application is possible within the term of 12 months from the priority date.